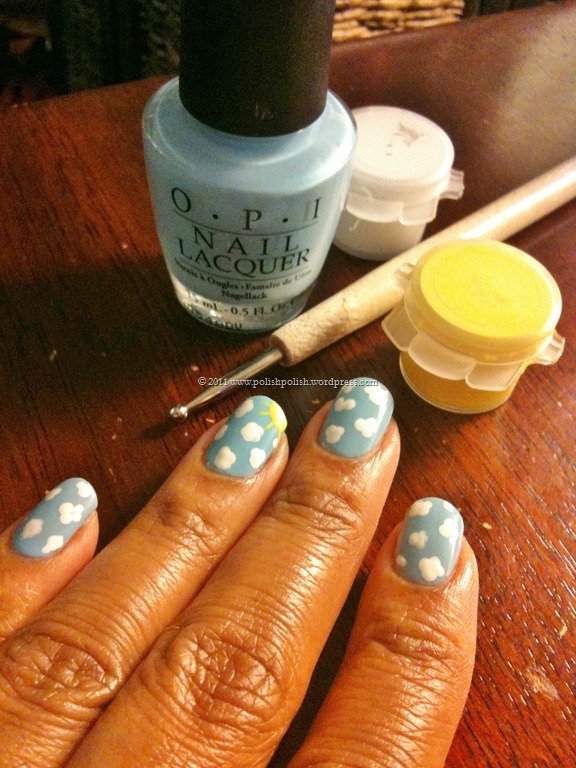 I had to give the clouds a try. 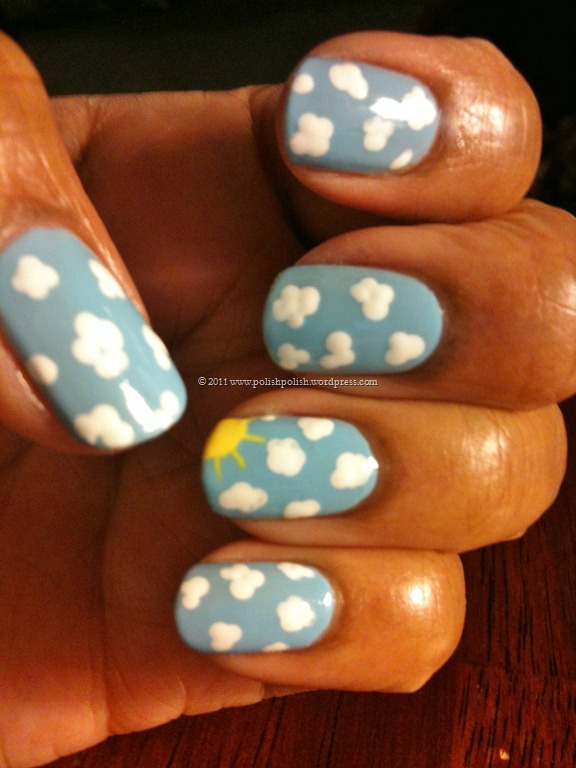 Since I am missing sunny skies…. I created my own. Very cute design. 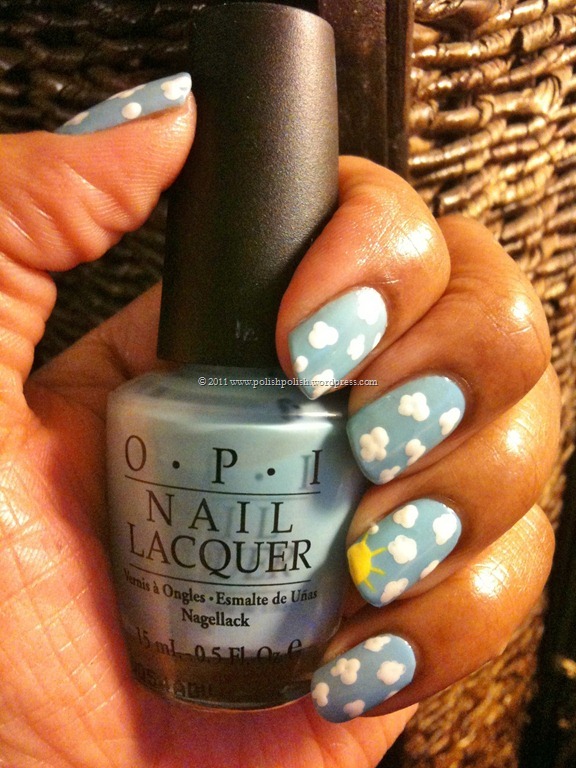 This entry was posted in Nail Art, OPI and tagged acrylic paint, clouds, nail art, What's With the Cattitude.